On February 20, 2010 similar attacks took place in Punjab state after Christians tried to protest against banners displaying offensive images of Jesus smoking and drinking. Hindu extremists responded by burning a church belonging to the Church of North India. Some of the extremists attacked the home of a deacon of the church threatening the deacon and his wife who were inside, while others doused a teacher, Christopher Morris, and his daughter, Daisy, with gasoline and tried unsuccessfully to set them on fire. 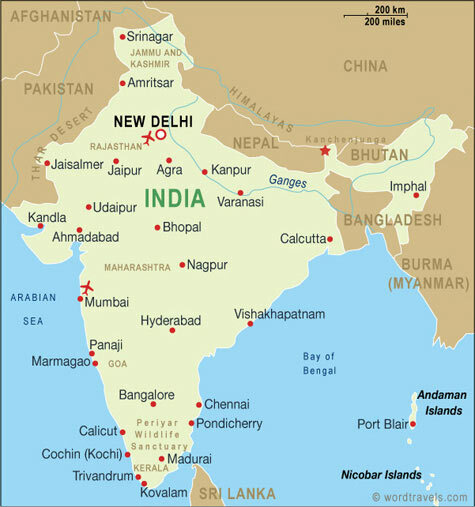 With a population of over 1 billion people, India is the world’s second largest country and has a great history and culture. Most Indians are Hindu while some areas have significant minorities of Muslims and Christians account for approximately 2% of the population even though the history of the church in India reaches back to the time of the Apostles. The rapid rise of Hindu nationalism in the late 1990s and the importance of the Hindu nationalist Bharatiya Janata Party (BJP) in both national and regional politics since then have encouraged Hindu extremists. The murder of Graham Staines and his two sons, who were burned alive in 1999, shocked the world, yet violence between Hindus and Muslims and attacks by Hindu extremists against Christians have continued to erupt with little effective action on the part of authorities. While government officials have pledged to investigate the latest attacks, police reportedly stood by while the mob tried to burn Christopher Morris and his daughter alive and also cleaned up the crime scenes destroying any evidence before an inquiry could take place. Moreover, during both the Orissa and Punjab incidents the BJP has been in a position to influence the inaction of local authorities. It is time Indian officials take responsibility for ensuring that the human rights of all Indian citizens are respected. Please stand with us for the right of all Indians, regardless of their religious beliefs, to live in peace, equality, and dignity. Indian authorities must bring those responsible for violence against religious minorities, whether in Orissa or Punjab or elsewhere, to justice and they must do it quickly and effectively. • for the people of India, that they would experience true peace and harmony and be able to live together in freedom, equality, and dignity, whatever their religious beliefs, as they share their country’s beauty and rich heritage. • to the Foreign Minister or Secretary of State for your country urging them to make the question of Hindu extremism a primary issue in their relations with Indian authorities and to use their relationship with Indian authorities to promote human rights, equality, and religious freedom for all Indian citizens.